Provides the ideal in therapeutic support — conforming compression without restricting circulation. 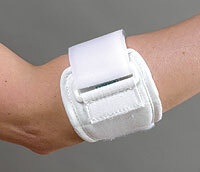 This arm band provides the ideal in therapeutic support — conforming compression without restricting circulation. 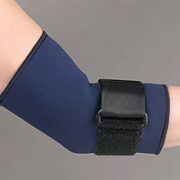 With 30 Durometer Thermal Viscoelastic Conforming Compression, this arm band provides the ideal in therapeutic support — conforming compression without restricting circulation. 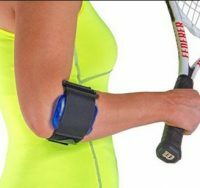 Use this support to treat common injuries like tennis or golfer’s elbow. Provides relief from arthritis, strains, and sprains. 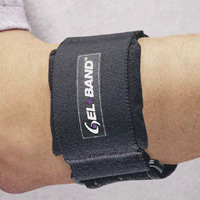 Includes patented GelCell™ feature that can be heated or chilled for optional thermal therapy on acute or chronic injuires.